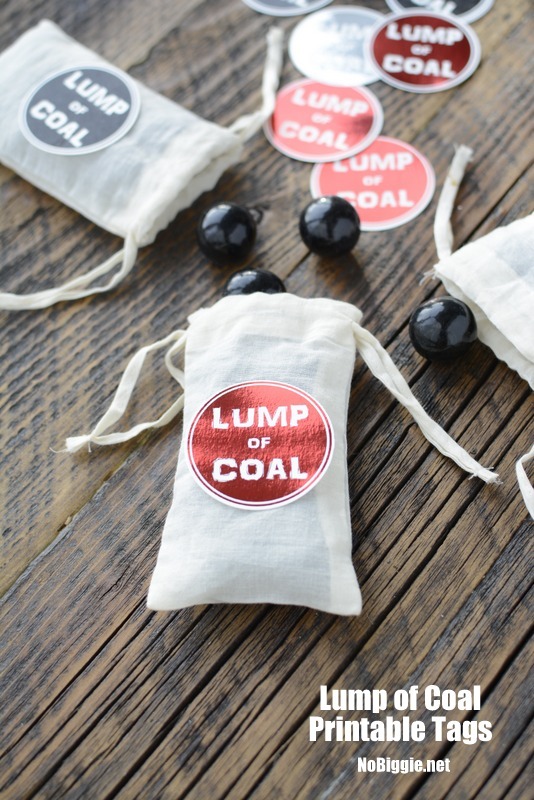 The good old lump of coal threat…we have to follow through on that one. Even if they do make if over the to the nice list in the eleventh hour. You gotta keep your word. 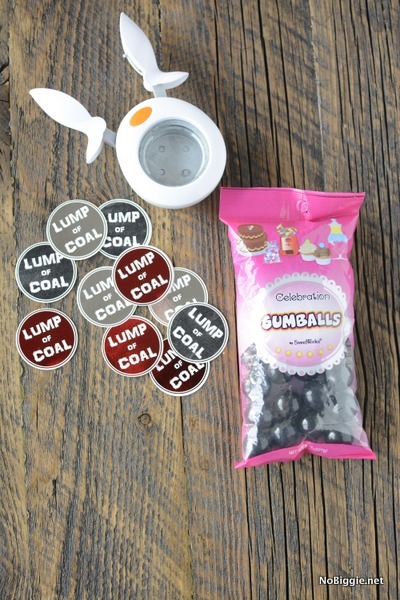 I happened to have some black gum balls left over from Halloween that can also double as little “lumps of coal”, but you could do cookies, chocolates or even an actual lump of coal…because hey… that’s what the tag says, ya know. 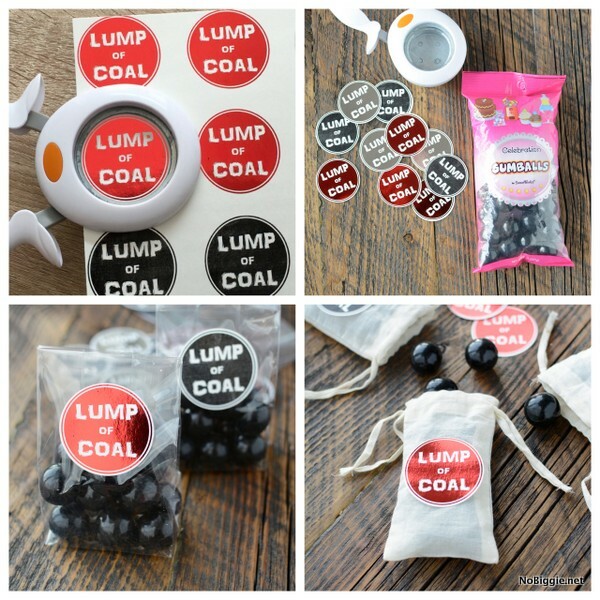 A few gumballs and this lump of coal printable tag, and you have a funny little gift/stocking stuffer. If you have a 2 inch craft punch, you can quickly make a bunch of these tags…or scissors. Scissors work great too. Because I’m obsessed with the Minc machine that adds foil to everything, we made two different versions of this printable. There is one that is mostly white to be easy on the ink in your printer, and then there is one that is the opposite of the white with a black background. 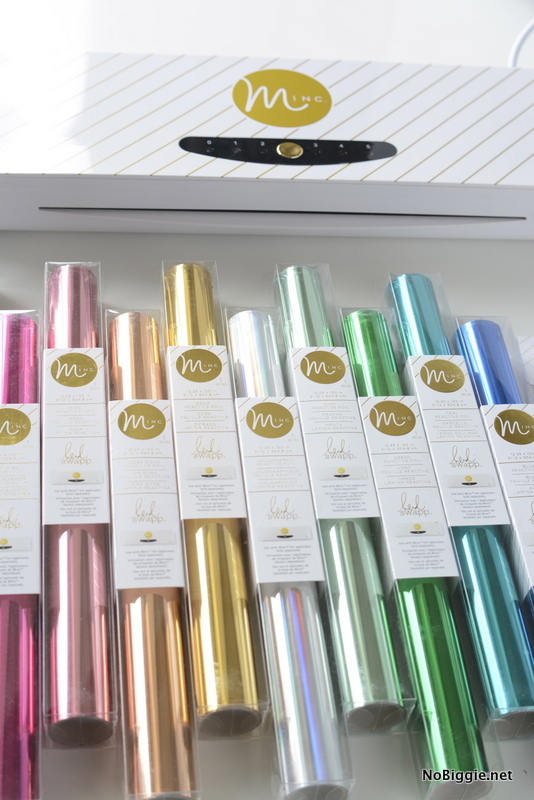 If you have the Minc machine by Heidi Swapp, you can actually run both through your machine using the same piece of foil. This way you will get full use of the foil, just line up the print with the negative space on the foil. Here we show this printable as is – black and then we also added red and silver foil to some. Merry Christmas! 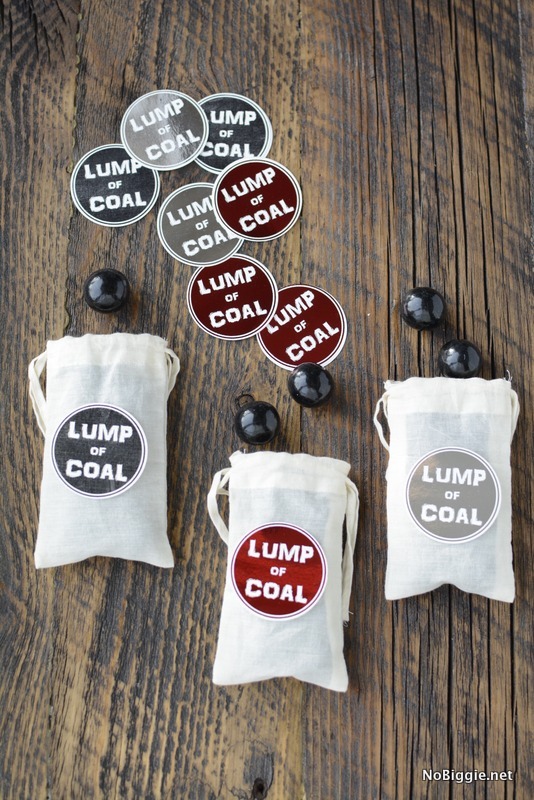 …with a Lump of Coal straight from the North Pole!